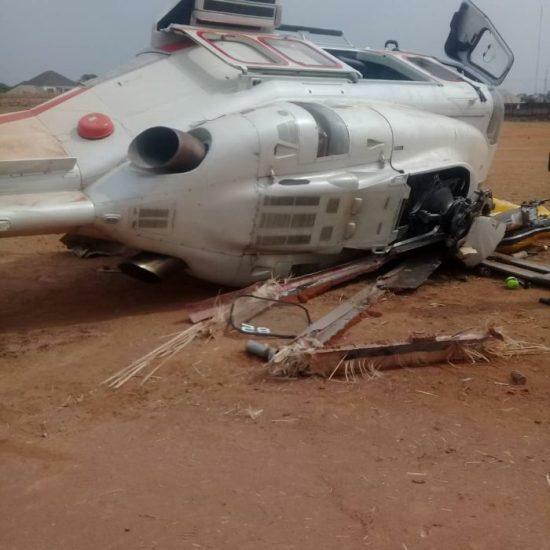 The Vice President, Yemi Osinbajo has confirmed that he is safe and sound following a crash his helicopter suffered in Kabba, Kogi on Saturday. Professor Osinbajo had departed Abuja around 1pm Saturday on a Chopper ride to Kogi in continuation of the Family Chats & Next Level engagements alongside the Minister of State for Labour and Productivity, Prof. Stephen Ocheni, senior presidential aides, security officials and the crew. He headed first to Kabba, and while landing at the Kabba Stadium, the Helicopter suddenly skidded sideways until it halted on its side few metres away from the intended resting spot. Everyone of the 12 people on board came out safely after the incident. The Presidency has said that a full investigation into the causes of the incident would be conducted by aviation authorities.